The sun is setting in a deep, dusty haze. The sunset resembles the cross section of a blood orange; the vibrant hues painting a picture so complex, only the human eye can properly capture it. The never-ending horizon is dotted with sparse acacia trees, torched grasses, and a termite mound or two. My head is nodding forward in sedimentary exhaustion as we bounce along the only somewhat paved road in the country. You know that feeling of when your body wants to give up even though you have done nothing all day? My eyes are dry, my stomach is shrinking, my legs and back tight from sitting, and my lips are begging for just one more swig of water while my bladder is dying for the final stop in N’Djamena. We’re still a couple hours out of the capital. The 220-ish miles seem to take forever no matter how early I leave. This time, I am numb to any emotion for going to NDJ: no excitement, no dread, no wonder, no need. Cue the theme song to Arabian Nights as I raise my eyes to the horizon. I want to see some camels. There is no reason I want to see them. I just do. I haven’t seen many since I arrived back here because of the rains. I have heard that camels get a pretty nasty version of athlete’s foot from the moisture. But we haven’t had rain since I got back so any moisture should be pretty much gone. I want to see an entire family moving using only their camels. I want to be reminded of how remote and old-school we are here in Chad (by something other than their patriarchal system, women’s rights, internet speeds, or road conditions). Last month in NDJ I saw two camels being used as taxis down the main road in the middle of the night. Before, we would see herds of them! 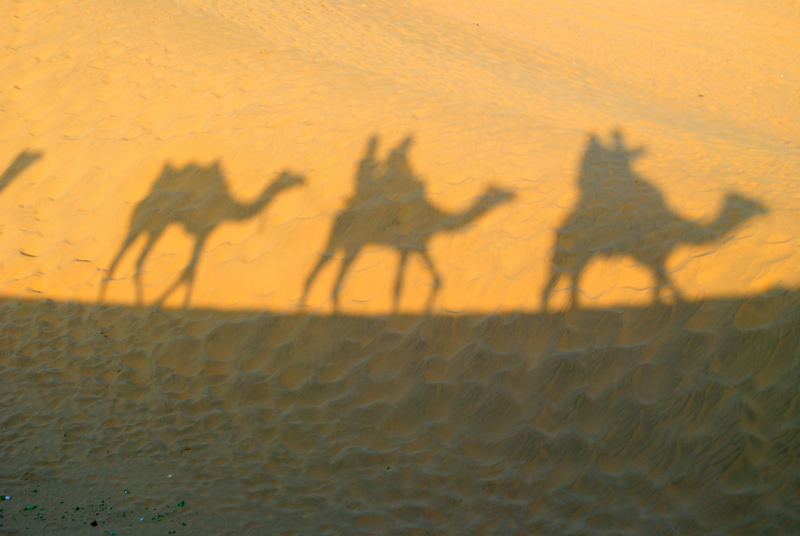 With 5-gallon paint cans as cargo bags, the camels would be sauntering along as their drives looked for a new homestead. After a while, we caught a glimpse of little ones off to be sold just before the city limits. It wasn’t the same but it was something cool. As the sun sets on the Chadian plains, our journey, and my hopes, I was reminded that I was just lucky to see them in the first place. I’ll see them again. There is a time for everything and right now is not camel season. Maybe the next time I’ll see a few.